Two such signals within a 36-day period is consider ed a Hindenburg Omen. 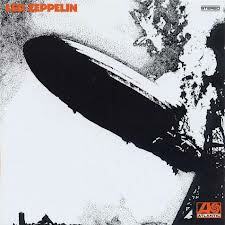 The Hindenburg Omen portends a serious decline within the next 40 days . (note: the 36 day period is somewhat ambiguous, as we have seen some say it is a 30 day period, and some say it must be 30 calendar vs. 30 business days). Let’s look at the first “observation” that occurred on April 15 th of this year. 1) NYSE New 52 Week Highs = 70 , New Lows = 77 . Both exceeded 2.2% of total issues that day. All 4 criteria were met. Now on Wednesday, May 29 th , we got a second “observation”, which creates the confirmation of the Omen. My style of trade is not conducive with day trading, even though I can do it as good as anyone. But I need to take down big positions in liquid stocks, which is hard to do in a stock that’s gapping higher within a 2 hour window. It doesn’t feel good having one’s $FRO deflated like this, long 1.2 million shares into what appears to be a death spiral. Clearly, the market is testing my resolve here, as I do not need to hold the shares any longer, being up in the high 20% range for the year. But old chap, that’s your style, build this fantasy return through little trades that no-one can actually track, claiming on aggregate this great return, start to believe your own hype, enter a big public trade that goes hideously wrong, and make these sorts of claims. With the types of draw downs that I endure on a monthly basis, it should come as no surprise as to why I do not manage a fund and instead have opted for an advisory role. People who toss money into funds do not like beta and I certainly bring a lot of that, along with the alpha. Advisory role. Who would actually listen? Really, anyone with serious money, jumping in/out of mostly stupid ideas/stocks without any plan or risk management? The whole concept is ludicrous. Apparently a number of US military drones have been lost [full story here] The problem is of course, the propensity of humans to copy and imitate. Now US enemies will be able to replicate the technology and use this weapon against the US and others. It is after all the perfect terrorist weapon. 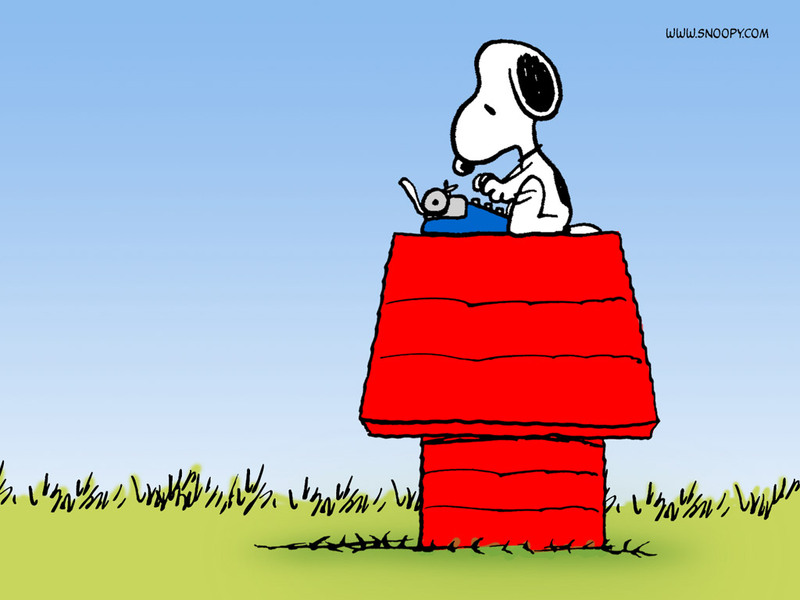 I’m not going to go into the facts of the case as they are not particularly relevant to the point that I wish to make. In Campbell v MGN  there was by Lord Hope a restatement of ‘the reasonable man’ test. This was picked up on by Allan J in this case, and thus, becomes NZ law. The problem is that it is incorrectly restated. The highlighted words are the source of the problem. Who is the ordinary reasonable person? The point of the objective standard is to mediate between the interests of the parties by setting an impersonal standard, which is normative, or value based, on the ethical standard of the society. To base it upon the plaintiff as Andrews J does is to introduce a bias in favour of the plaintiff, viz, of a person that has suffered [stands] in the same manner. This is the exact opposite of what the test seeks, or sets out to achieve. Cullen Roche has another ‘there’s no printing money’ article. 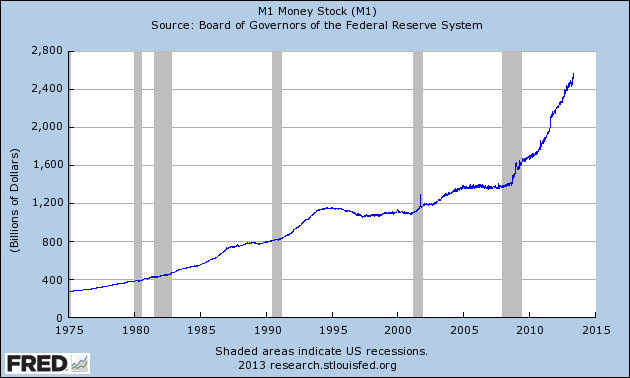 I never stop seeing the term “money printing” all over the place. It has to be the most abused term in all of economics and finance. The madness must end! So let’s try to make this so simple that a 6 year old could understand it. Who knows, even Cullen might finally understand. 1) Banks create most of the money in our system. Loans create deposits and deposits are, by far, the most dominant form of money in the economy. So, if you want to say someone “prints money” you would be most accurate saying that banks print money. And how do they do this? Through fractional reserve lending. The ‘reserve rate is 10%’ so, for every demand deposit created they can lend 90% of that as a new loan. This multiplies the ‘money supply’ by approximately 10X. A $100 demand deposit creates $1000 in the economy. So money is created [printed] by the banking system. 2) The government is a user of bank money. When the government taxes Paul they take Paul’s bank money and redistribute it to Peter when they spend. Yes they do. Re-distributive policy. 3) If the government runs a budget deficit (taxes less than it spends) then Paul buys a bond from the government and the government gives Paul’s bank deposit (which he used to buy the bond with) to Peter. Paul gets a bond which the government created in much the same way that a private corporation creates a bond when they issue corporate debt. If you want to say these entities “print” financial assets then fine. Corporations print stocks and bonds every day and you don’t hear the world exploding with hyperinflation rants because of it…. Yes they can…but they haven’t bothered unduly with that for decades. They can also create a bond [debt] that they sell to the Federal Reserve. Which they do all the time. 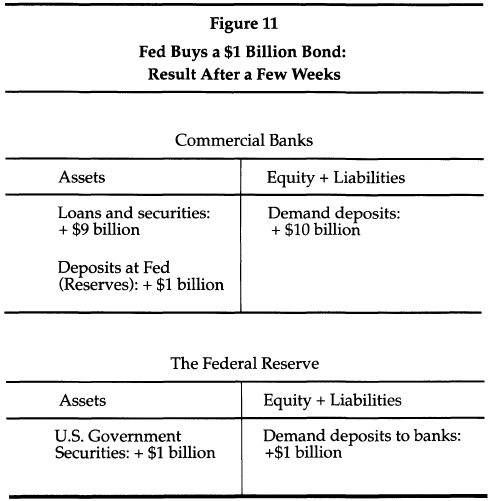 Where does the Federal Reserve get the ‘money’ to purchase these bonds [debt] that constitute ‘deficit’ spending? They simply ‘create’ a demand deposit in the governments name. The government then ‘spends’ the money on goods/services in the economy. New money has been created, ‘printed’ in effect. 4) When the Fed performs quantitative easing they perform open market operations (just like they have for decades) which involve a clean asset swap where the bank essentially exchanges reserves for t-bonds. The private sector loses a financial asset (the t-bond) and gains another (the reserves or deposits). The result is no change in private sector net financial assets. QE is a lot like changing your savings account into a checking account and then claiming you have more “money”. No, the composition of your savings changed, but you don’t have more savings. Correct. 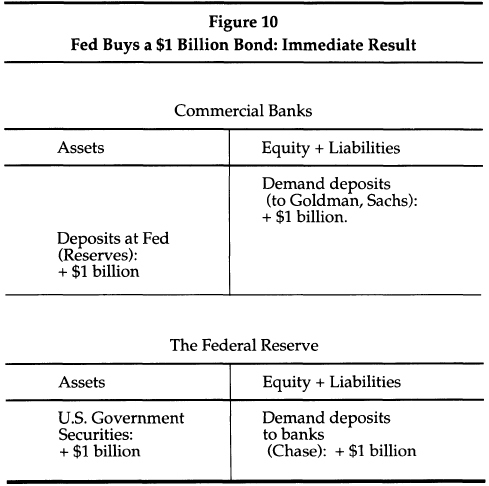 And where does the Federal Reserve get the ‘money’ to purchase assets from? See above. They simply credit an account as a demand deposit and create the ‘money’, or, print it. The issue is…if, someone, China, demand that deposit in cash, then the Treasury will print the currency demanded. Hence, the creation of demand deposits retains its ‘printing’ label, even though initially it starts out life as an electronic credit to an account. 5) Cash notes like the ones you have in your wallet are created by the US Treasury and are issued to the Federal Reserve upon demand by member banks. This cash is literally “printed” by the Treasury, but serves primarily as a way for banks to service their customers. In other words, if you have a bank account you can exchange your bank deposit for cash from the ATM or the bank teller. Cash is preceded by the dominant form of money, bank money. But it doesn’t get printed off the presses and fired into the economy as some would have us believe. Errrr, yes, that’s precisely what happens when ‘cash’ is demanded. In 2008 when the demand for ‘cash’ exceeded by many multiples the available cash against demand deposits, the financial system suffered its meltdown. That is the risk of creating money through debt. See, there’s no “money printing” in any of this unless you want to distort the role of cash in the economy or refer to lending and security issuance as money printing. Yes, QE alters the composition of private financial assets, but that’s about it. No real “money printing” there either. So, next time someone goes off on a “money printing” rant just point them in the direction of these 5 easy to understand steps. M1 includes funds that are readily accessible for spending. M1 consists of: (1) currency outside the U.S. Treasury, Federal Reserve Banks, and the vaults of depository institutions; (2) traveler’s checks of nonbank issuers; (3) demand deposits; and (4) other checkable deposits (OCDs), which consist primarily of negotiable order of withdrawal (NOW) accounts at depository institutions and credit union share draft accounts. Seasonally adjusted M1 is calculated by summing currency, traveler’s checks, demand deposits, and OCDs, each seasonally adjusted separately. The COT index for SPY this week continues its selling pressure at [-14.7%]. The commercials relentlessly continue to sell into rising prices. At the conclusion of this week, we saw perhaps just a small glimmer of fear creep into the financial ‘stock’ markets. The 10yr Treasury looks, technically, to have made a top. The possibility that it again rises is possible if the Federal Reserve target purchases of this paper. That is probably unlikely as the danger [still] to commercial bank balance sheets are the continuing mortgage defaults. While the housing market to superficial investigation seems to be firming, it is somewhat misleading. It is misleading in that Hedge Funds have stepped into this space. Quite what their strategy is – I have no idea, but, the housing recovery is not a housing recovery that signals an improving economy. Therefore the COT number, while certainly of no practical use for several weeks now still cautions against joining the bull market at its current levels. While I believe that the bull will continue due to Central Bank easing everywhere, even with QE liquidity we can have pullbacks. We may be on the cusp of one currently. If it is, the bottom [or near bottom] of the pullback would be a rational entry point for new long positions. Bernanke ruffled markets with his somewhat less than clear communication. The thing is this: employment is an issue. It is not improving. The recovery is stalling on all economic metrics, or progressing so slowly that it is much the same thing. Therefore Bernanke cannot pull QE. The factor helping him is the ‘officially’ low rate of inflation, that of course excludes energy and food. Inflation for the average man in the street is a factor. The money velocity is falling through the floor due to corporate and banking hoarding, not your average chap who pays his bills etc, but doesn’t move the needle as far as money velocity is concerned. Corporate activity has centered around stock buybacks etc, which has the effect of sterilising the money. It is on this basis that I continue to look for trades that are market neutral. Trades that can profit in either a market collapse, or run higher, with limited risk, but enough time on the clock that the risk [maximum loss] should never seriously come into play. This is largely due to a loss of faith in the Federal Reserve to stay ahead of the curve. They are consistently behind the curve which is very risky for the smaller market participants who get caught in events that overtake the bankers. The constant selling by the commercials has me a little concerned in that they [if anyone] tend to have their fingers on the pulse. That they [seemingly] have been so wrong, for so long, is unusual and out of character. As such, while I will not trade with them, I still am trying to understand their purpose. This week’s stock has the potential to deliver excellent returns with minimal risk in that the volatility required to lift it into profit is hardly excessive. Of course, if it catches fire in either direction, then the % return on capital is significant. With a January 2014 expiry, there is every chance of catching the seasonal runs in this name. Once again, this trade will not receive public disclosure on the blog. There seems to be another economic storm-in-a-teacup over a measure of economic growth, what little there currently is of that elusive beast. But Thursday’s GDP report offers an alternate explanation: Perhaps GDP isn’t fully capturing recent economic growth. An alternate, lesser-known measure of output, known as gross domestic income, or GDI, shows the economy growing 2.2% over the same period — still not great, but more in line with recent job gains. GDP/GNI both are subject to the expansion of the money supply. Which rather underlines the current scratching of heads by economists. GDP/GNI = goods services bought * price paid. So if prices rise, viz, inflation, and the purchase of goods/services is given, then your GDP rises in line with your inflation. Prices have been rising. So why the anaemic growth in GDP? The data shows that on aggregate the hourly rate has grown at a 2.7% compounded rate, which is roughly equivalent to the inflation rate. The conclusion must therefore be that the puchase of goods/services has fallen [demand]. Except, that also looks to be false. The ‘Great Recession’ which started really in 2000, and has been postponed by Federal Reserve bubble blowing policies via monetary policy that has been excessively loose, revolves around the rise in unemployment that is classified as ‘not in labour force’. You take the point. The work force has turned to the welfare state, which is not unsurprising given the circumstances, however, it comes at a cost which is the constant consumption of capital that accumulated through the late and early part of the 19’th and 20’th centuries. With the ever loosening monetary policies of the Federal Reserve originating with Greenspan, the purchasing power of savings has diminished. With a loss of purchasing power…you can only purchase less…hence, another class of persons, contributes an ever decreasing consumption component. The net effect, is what we have currently. Which is not going away any time soon.